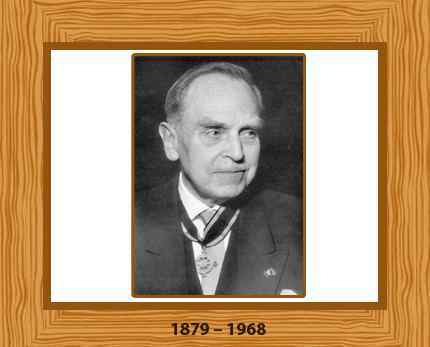 Otto Hahn was a German chemist and researcher, who is widely considered to be one of the most influential nuclear chemists in history. He pioneered the fields of radiochemistry and radioactivity. Also known as “the father of nuclear chemistry”, Hahn crusaded against the use of nuclear weapons after World War II. As an influential citizen of the Federal Republic of Germany, he had also strongly opposed Jewish persecution by the Nazis. Hahn was born in Frankfurt, Germany, on 8 March in 1879 to a rich entrepreneur named Heinrich Hahn. He developed an interest in chemistry at 15, though his father wanted him to study architecture. He studied chemistry and mineralogy and later received his doctorate in organic chemistry from the University of Marburg in 1901, where also worked for two years as an assistant to his doctoral supervisor Theodor Zincke. Hahn accepted a job at the University College of London in 1904, where the famous discovery of radiothorium, a new radioactive substance, took place. He continued his pioneering research in nuclear chemistry at McGill University in Montreal, where he discovered radioactinium, a radioactive isotope of thorium. He went back to Germany in 1907 and joined the University of Berlin as a lecturer. Hahn made his most significant contribution to energy history in 1938. While working with Fritz Strassmann, a fellow chemist, he discovered that the element barium was produced when uranium atoms were bombarded with neutrons. Actually Hahn and Strassmann had come upon nuclear fission, the primary chemical process involved in a nuclear reaction. This legendary discovery indirectly helped develop the atomic bomb and nuclear energy. For his discovery of nuclear fission, Hahn was awarded the Nobel Prize in 1944. He went forward with his research and the development and separation of new elements using the process of nuclear fission. Otto Hahn joined the Kaiser Wilhelm Society (KWG) in 1946. He was the last president of the institution. Hahn was also founding president of the Max Planck Society (MPG), where performed his duties from 1948 to 1960. Hahn died on July 28, 1968. He was 89 years old.